Carmen DeSousa: Creatus Series Boxed Set is only $5.99, AND get the next book as soon as it publishes FREE! 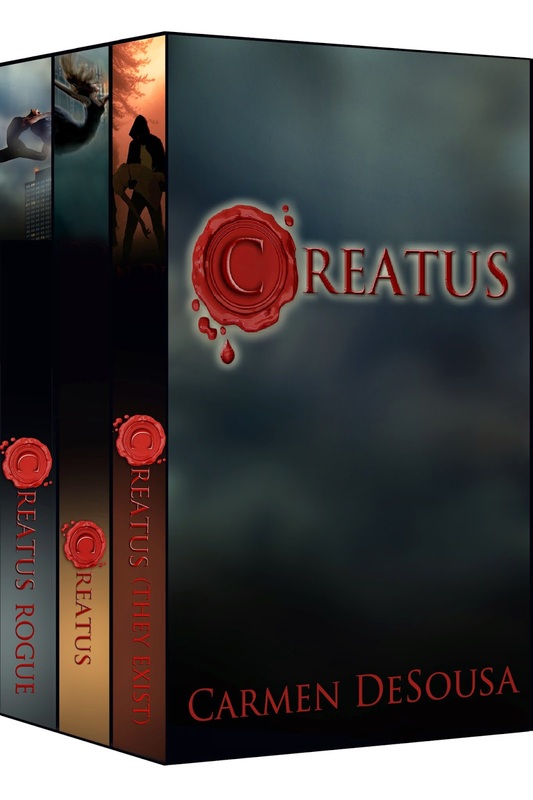 Creatus Series Boxed Set is only $5.99, AND get the next book as soon as it publishes FREE! As with most of his family, Derrick Ashton knows his future and what position he’s destined to fill within his unique society. Everything changes, however, when he breaks one of his family’s strictest laws and falls in love—with a human. Have you already bought the series?